In addition, multiple studies have demonstrated that depression alone is a strong, independent risk factor for the development of heart disease and worse long-term outcomes if one has a heart-related event. Women, unfortunately, are at greater risk of developing depression if their stress goes unrecognized and/or untreated. Women must not ignore symptoms of stress: weight gain, fatigue, mood swings, poor sleeping, heart racing, irritability and poor eating habits are among the most common. If symptoms develop, try to identify what is triggering the stress and then implement changes to minimize the stress. This is not always easy. Talking to your family, friends, coworkers or a religious advisor may help. Don’t keep your worries bottled up inside yourself and believe they are going to go away. Chances are that they won’t and things will only get worse. We want to avoid those potential health hazards as outlined above. Seek help. There are people out there who can help. 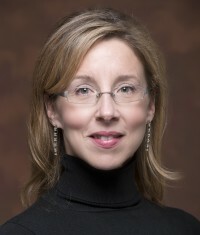 Melissa Tracy, MD, is a cardiologist at Rush University Medical Center in Chicago, Illinois. This entry was posted in Heart, Women's Health and tagged heart disease. Bookmark the permalink.